What to Expect When You’re Out of Crap to Remake | Critical End! Alternately known as "What to Suppose When You're Presupposing" or "Placenta: A Love Story." Good news! There’s going to be a movie version of popular (?) 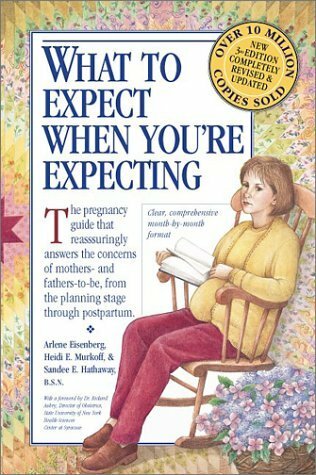 pregnancy guide What to Expect When You’re Expecting. And it’s a romantic comedy about parenthood! After the stirring social commentary that was He’s Just Not That Into You, Logan and I suspected that we had a new trend on our hands. Well, this confirms it: We’re officially on to self-help books. Not since the board game adaptation trend, or even the amusement park ride adaptation trend, has a more exciting movie-from-not-a-movie trend crossed our desks. Two single dads, hard working blue-collar contractor Danny Miles (John Travolta) and pampered blue-blooded aristocrat Trevor Pennybottom (Colin Firth) magically switch bodies thanks to a Wiccan ritual gone wrong. Can they each raise the other’s daughter while learning a little about themselves in the process? A young boy (Chandler Canterbury) is devastated by his parents impending divorce, so he retreats to a fantasy world (crafted by director Guillermo del Toro) where he is a man-eating giant. Aziz Ansari plays the dual roles of the kindly fisherman that befriends the boy and the voice of the giant’s comical fruit-fly companion. Dr. Phillip Self (Jason Alexander) is a forensic scientist on the trail of the Paper Crane Killer. But the real casualty may be his long-neglected marriage. Bebe Neuwirth costars. Will be exactly like the book except the full title will be Tyler Perry’s Yoga and the Wisdom of Menopause. This entry was posted on Monday, January 18th, 2010 at 6:57 amand is filed under . You can follow any responses to this entry through the RSS 2.0 feed. Both comments and pings are currently closed. I hope it involves buying a rocking chair and staring at the camera looking depressed as you reflect on all the shattered dreams you’ll never achieve.